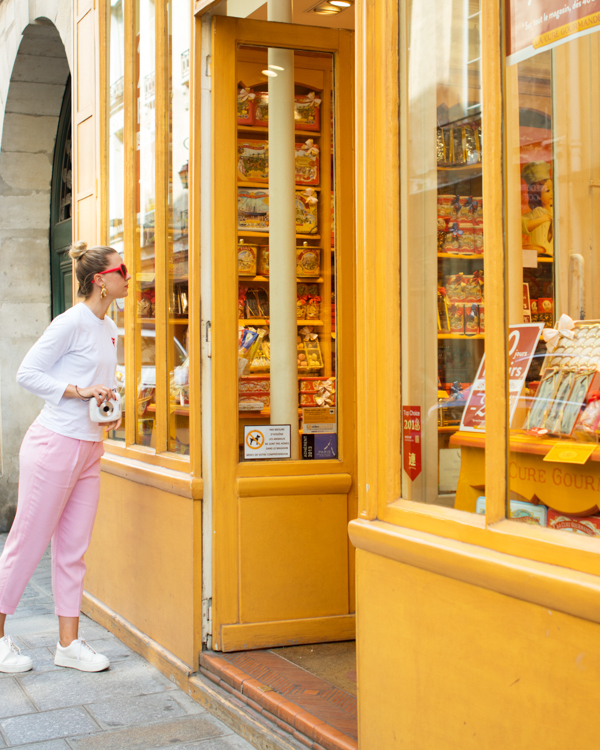 Paris is typically a city of neutrals. When we were planning this team trip to Paris, we all joked that we would have to put away our “Oh Happy Day” wardrobe and stick to blacks and grays. 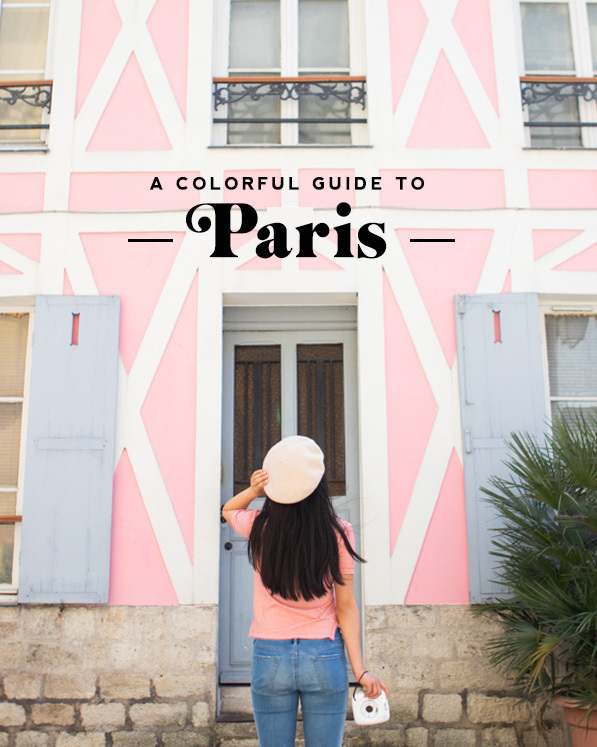 So during our 10 days in the city, we made it our mission to find all the colorful spots that Paris has to offer! 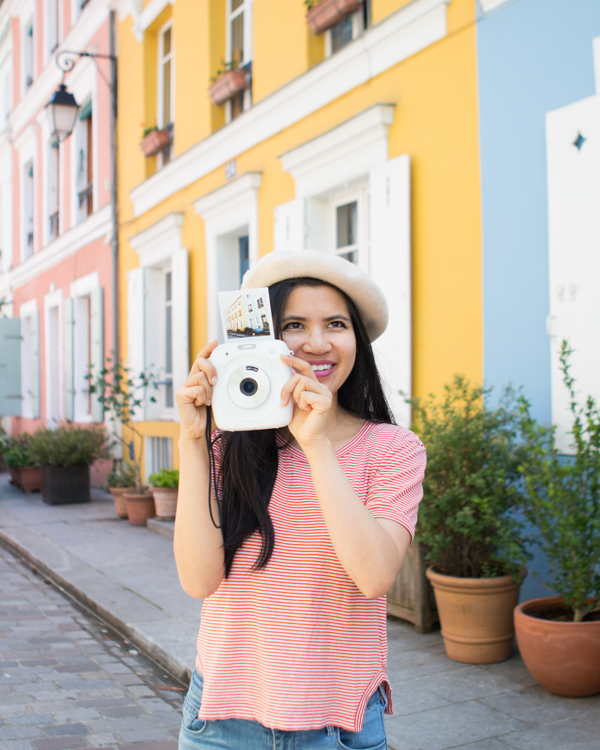 We created our own colorful guide to Paris in collaboration with FUJIFILM Instax®! 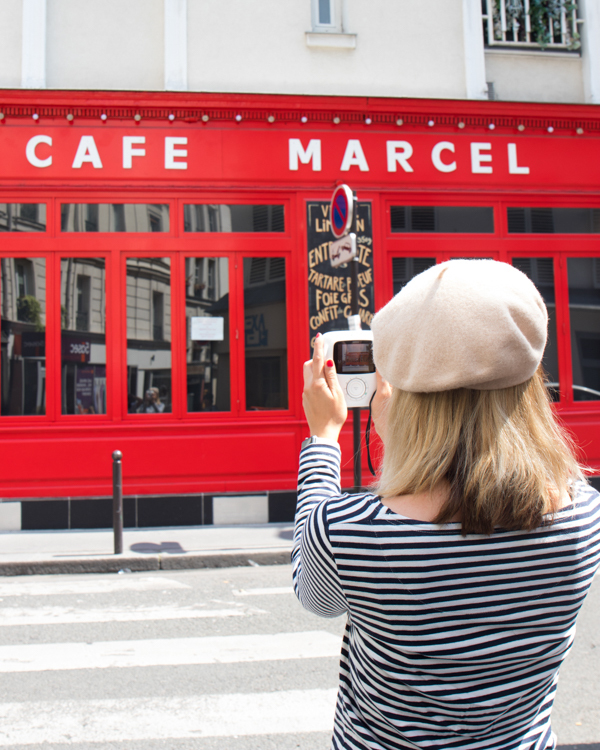 We took the FUJIFILM Instax® SQUARE SQ10 cameras all around Paris and snapped pictures of beautiful bright cafes, murals, and storefronts. See what we found below! film. 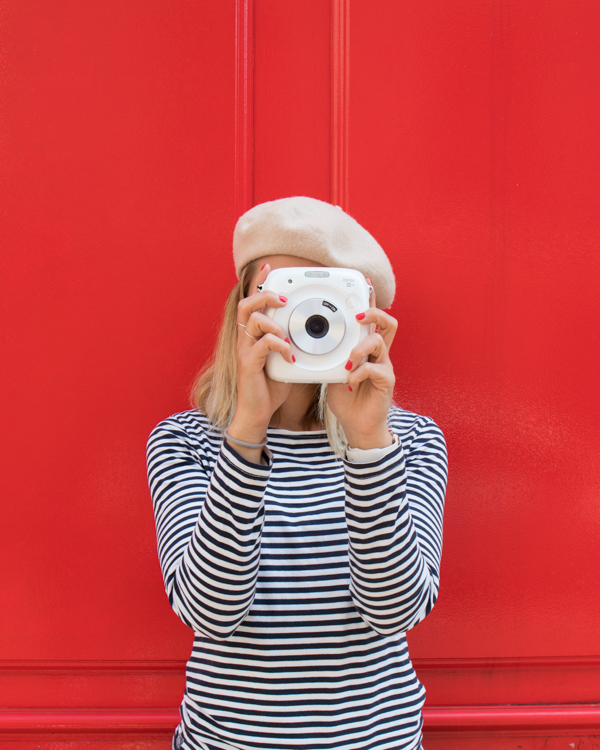 We love that you can take multiple shots and only print the best ones (because heaven knows sometimes we all need a do-over). 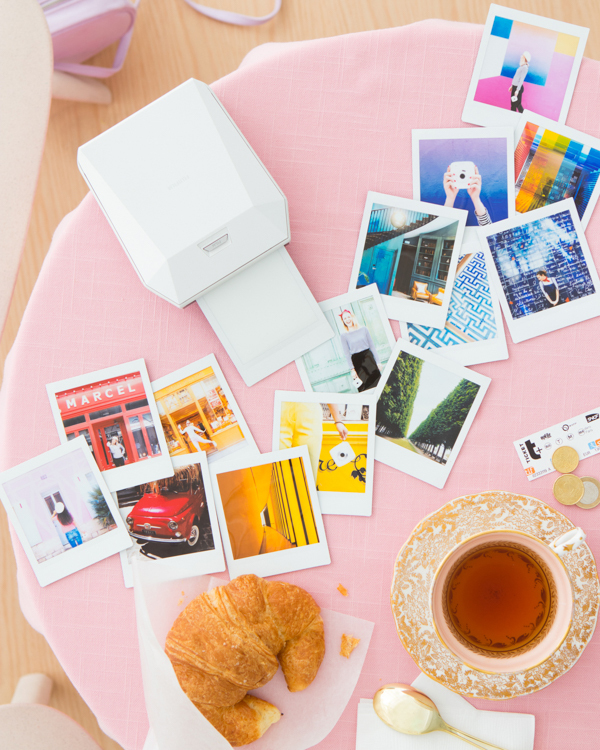 We also enjoyed using the FUJIFILM Instax® SHARE SP-3 SQ printer. 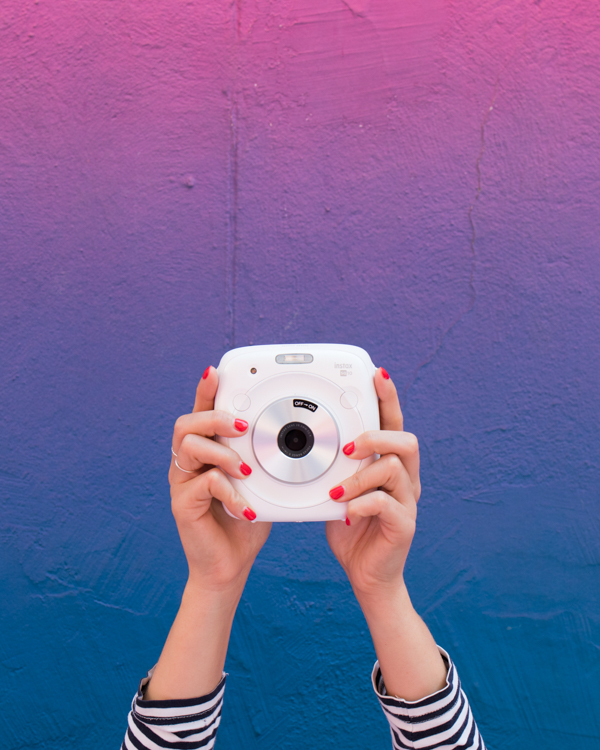 The printer is portable and connects to your phone wirelessly through the Instax SHARE app, so you can snap photos on the go then edit and print them. 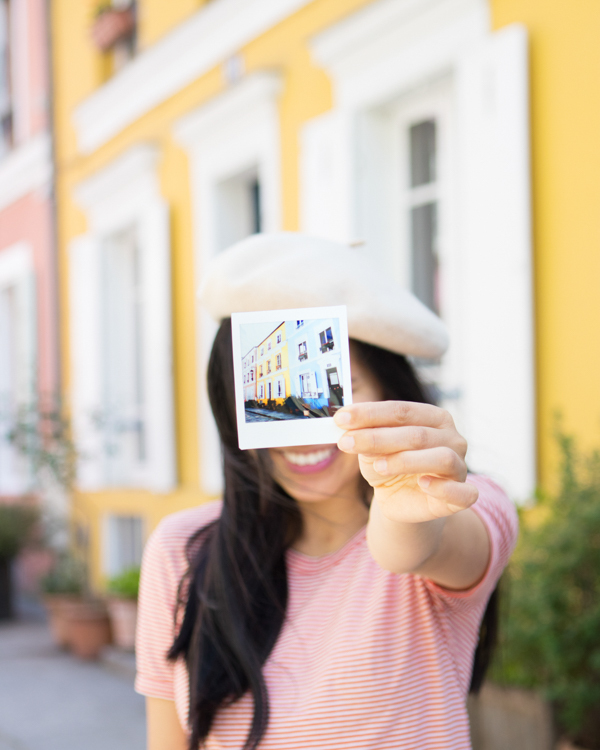 Such a fun way to capture and remember the trip! Or, get our Google Map here! Great photos! 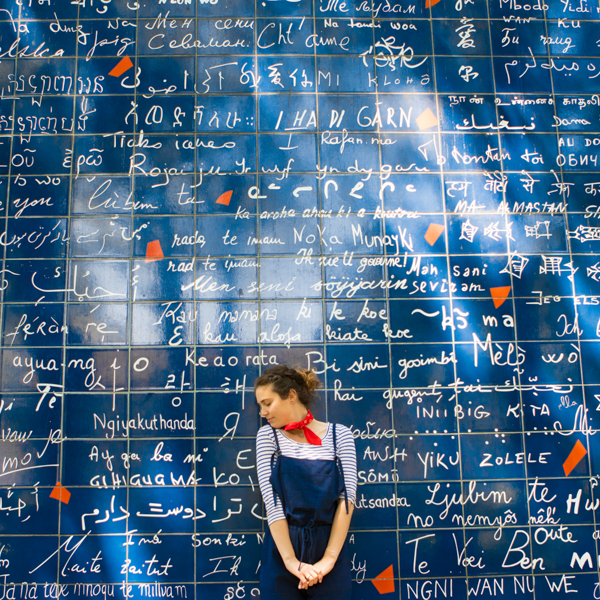 Paris is one of my favorite places in the world! It also inspires me to try it as a travel game- find the rainbow, instead of finding the alphabet. A fun exploring game for tots, too. The pictures are so cool ! 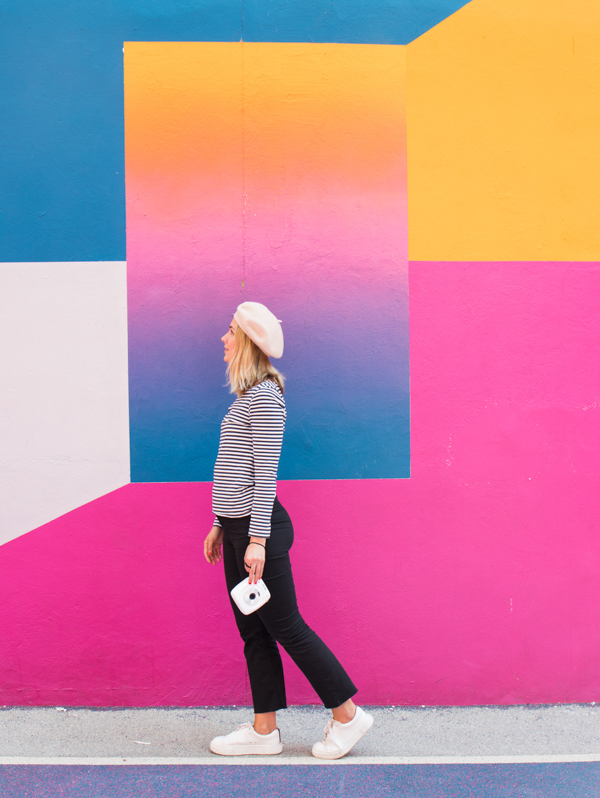 Gorgeous photos of a gorgeous city!! 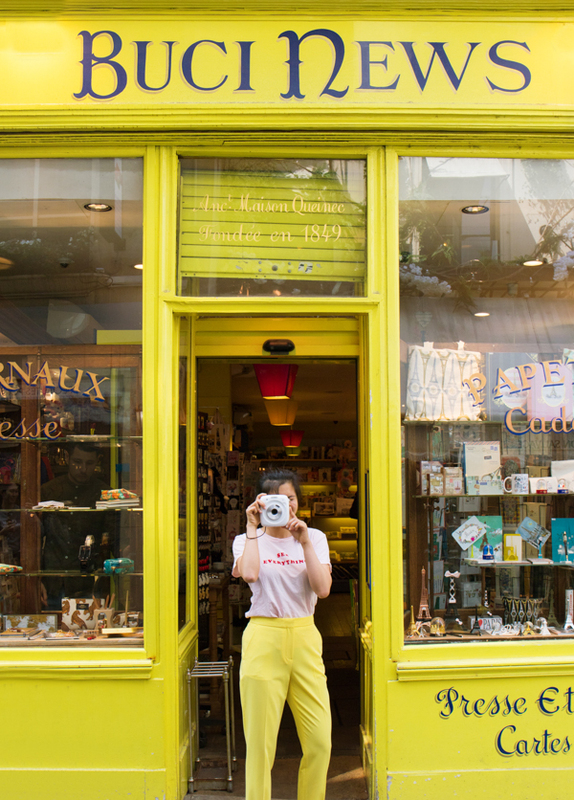 LOVE the pastels of Paris! Those pale green doors at the end… DIVINE! Nice photos.. 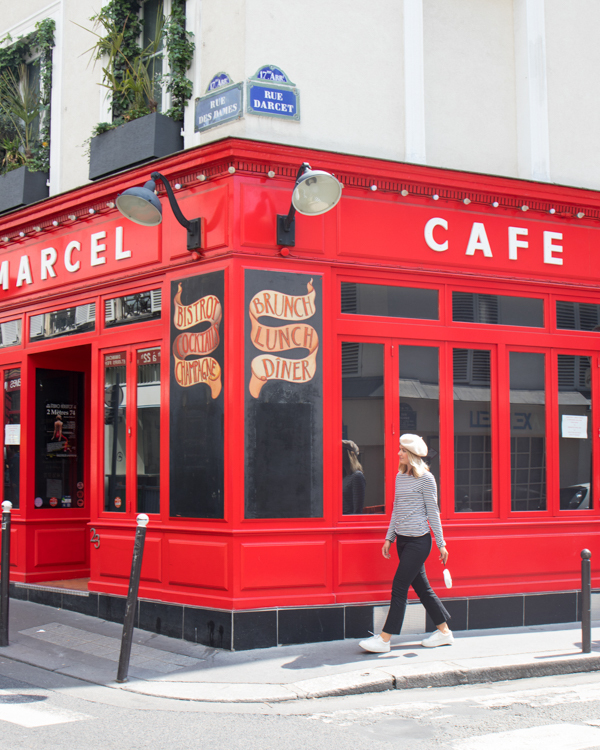 I have already this Paris to my buck list. Thanks for the beautiful words on Paris . My next trip is to there. This is SUCH a cute idea!!!! You are making me seriously want to book a flight ASAP. I hear it’s easy to bring a dog to Paris too!